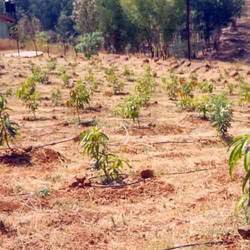 Undertake development of land for floriculture & horticulture crop such as mango, coconut, - includes development for the plantation i. E. Making land suitable for the plantation, if it is not in shape, etc. Preparation of pits, supply of fertilizer, supply of best quality plants of coconut, mango, sapota, arecanut, produced from own nursery. We have an exclusive range of Land Developer offering to our clients. We are offering these services to our respected clients within stipulated time frame. This service is immensely acknowledged among valued clients for its salient features like hassle free management, cost effectiveness and reliability.